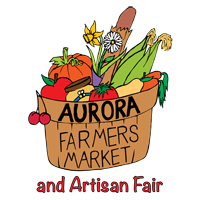 Despite a very chilly start to the day, this past Saturday turned into a sunny and beautiful day for both the Farmers’ Market and Aurora’s second Multicultural Festival. From 11 am both groups shared Town Park and that worked very well. The variety of multicultural performances brought many families to the park and to the Armoury to sample ethnic food and that meant that the Market was busier than it might have been otherwise. Our vendors were happy to co-operate with the Town of Aurora on this special day. This season Sport Aurora and Activate Aurora has had a booth at the Market. Since much has been written about the group lately, I am going to introduce you to their Executive Director, Laurie Mueller, who is expected to be the main face of the group at the Market. Laurie has been a sport leader for almost two decades. Her special passion lies in the development of opportunities for women and girls in sport. She has spent most of her professional and volunteer life building programs and services in Aurora. Her coaching and leadership skills were first practiced in 1991 when she began coaching soccer in Bradford, where she was the only female Director on the Bradford Soccer Association’s Board. In 1997 she moved to Newmarket where she volunteered to coach the House League girls at the Aurora Youth Soccer Club. She became National Coaching Certification Program(NCCP) certified, rare for women at the time. She then became the Technical Instructor for Aurora’s Indoor and Outdoor programs. She began coaching in the Women’s Indoor Soccer League and convened the League. In 2005 Laurie joined the newly formed Board of Sport Aurora and was part of the its founding Committee. She worked tirelessly as the fledgling organization grew from 6 original members to 41 in 2017. In 2007 she was awarded Ontario’s first grant from the Coaching Association of Canada for “We are Coaches-Women in Coaching Program” and was named Coach of the Week during the National Coaching Certification Program Ontario Coaches of the Week celebration. In 2017 Laurie received the Volunteer Recognition Award for 10 years of service to the Town of Aurora. In 2010 she launched the community’s only magazine devoted to amateur sport called “Sport in Aurora” magazine which continues today. Her graphic production skills were acknowledged and she was asked to produce the annual Aurora Sports Hall of Fame Induction Dinner Program which continues today. In 2012 Laurie was hired by Sport Aurora to be the first Program Manager of the group and, in recognition of her exemplary work with their campaign, she was named the Executive Director for both Sport Aurora and Activate Aurora in 2017. In 2017 her lifelong passion for advancing women in sport resulted in Laurie being selected to receive the Ontario Government’s “Leading Women/Leading Girls Building Communities Recognition Program” which acknowledges and celebrates women and girls who demonstrate exceptional leadership in working to improve the lives of others in their communities through volunteer work. The Aurora Farmers’ Market and Artisan Fair is pleased to have Sport Aurora and Activate Aurora at the Market this season and to welcome Laurie Mueller to our family of vendors.